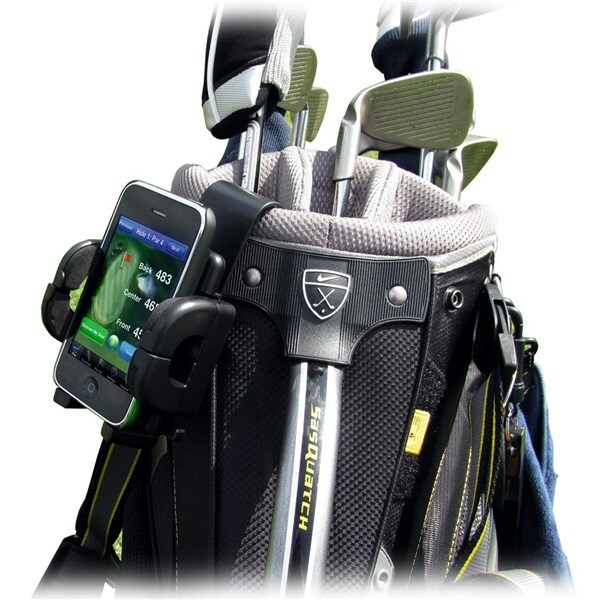 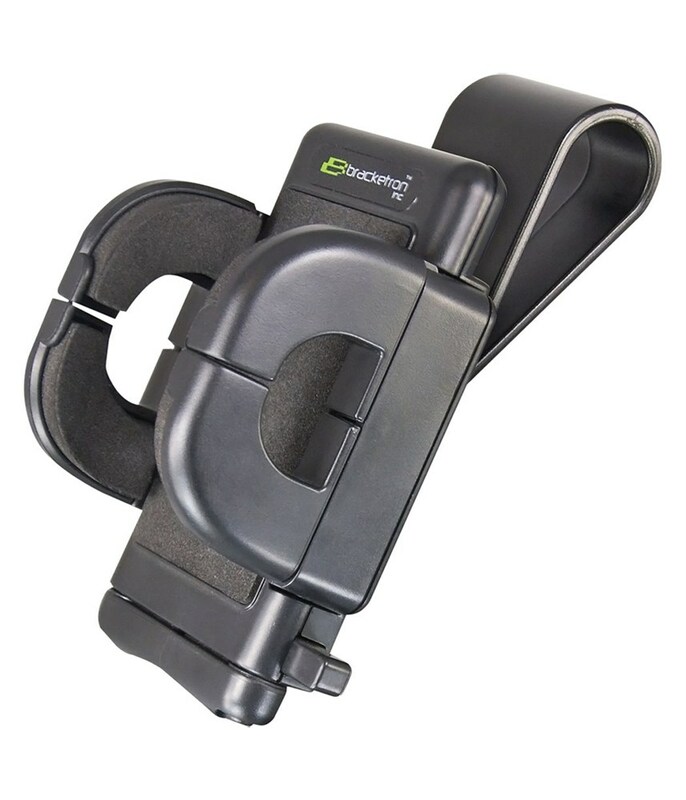 The Universal Golf Bag Mount is designed to hold your handheld golf GPS or smartphone running your favorite golf app when you're out on the course. 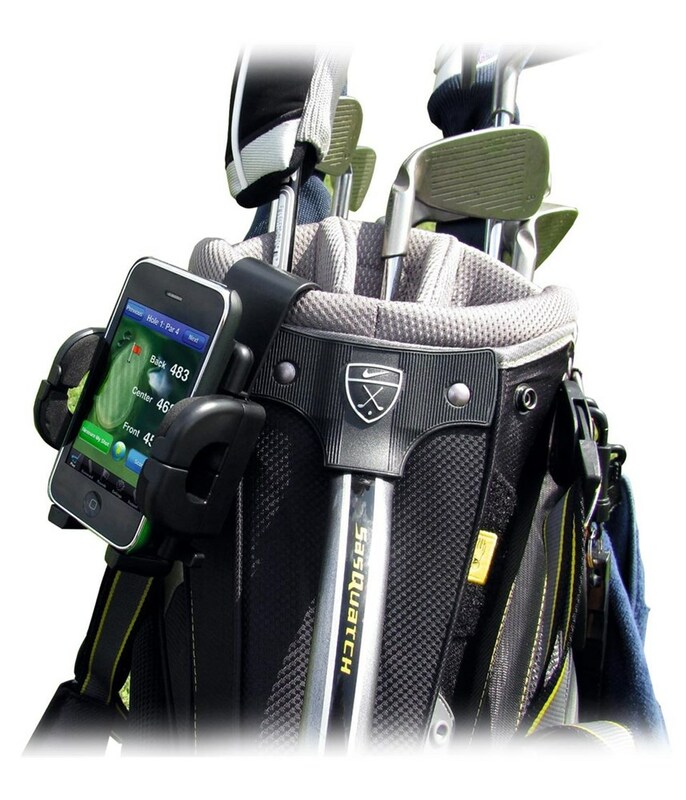 It easily clips onto the top of your bag, providing a secure and easily accessible mounting option for your device. 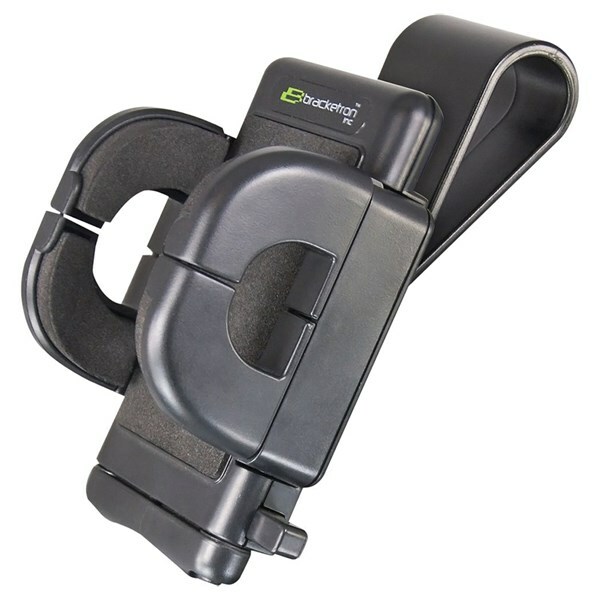 The included Grip-iT holder features expanding arms that can hold your device and can be rotated 360 ° for customized viewing.